Still looking for an easy way to convert pcl to bmp on Mac OS X? Or finding a useful tool to change pcl to bmp on Mac? Just follow this article, you will find pcl to bmp conversion is so easy and no longer a problem to you! PCL (Printer Command Language) is a file format that is used to save files from printer spooler in hard disk, which is widely used for printers but not commonly accepted by common applications. PCL is also a page description language developed by Hewlett-Packard as a printer protocol. PCL is originally developed for early inkjet printers, and has been released in varying levels for thermal, matrix printer, and page printers. Due to its limit compatibility, sometimes you need to convert the pcl files to other popular images formats, for instcance, from pcl to bmp. BMP (Bitmap), also known as Device Independent Bitmap file format, is a standard uncompressed raster graphics image file made up of a grid of pixels of alternating colors, which can be used in word processing, presentation, and desktop publishing software. BMP file is able to store 2D digital images of arbitrary height, width and resolution. It can also store both monochrome and color images in various color depths with data compression, alpha channels, and color profiles. And it is independent of the display device especially on Microsoft Windows and OS/2 operating systems. 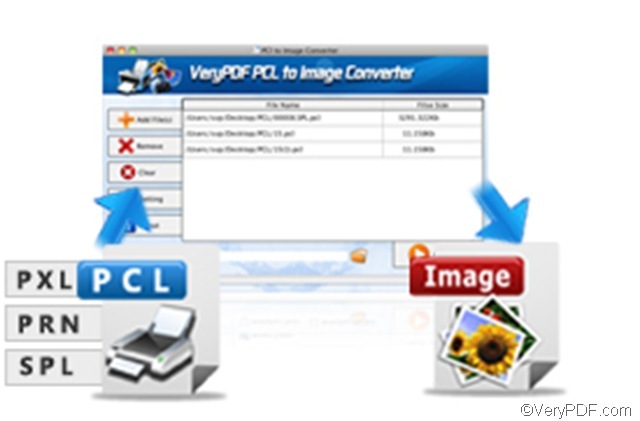 * PCL to Image Converter for Mac –a professional and easy-to-use PCL to image tool that specifically designed for Mac users to batch convert print file such as PCL, PXL, SPL, etc. to image formats such as BMP, PNG, TIFF, etc. 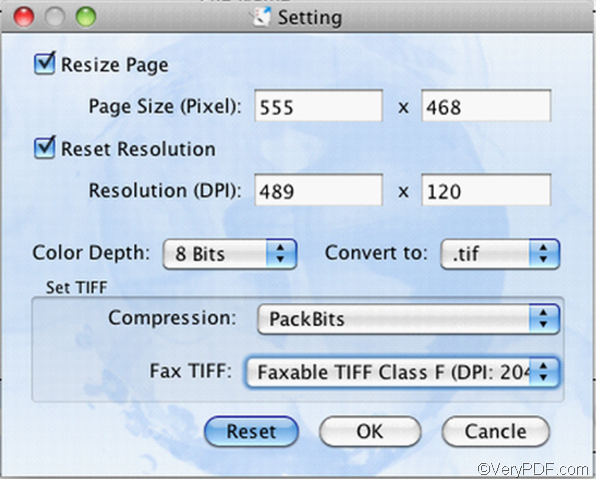 It can also create Fax TIFF file which is faxable and supplies six kinds of compression methods to compress TIFF image. Below are the simple steps to convert PCL to BMP format. 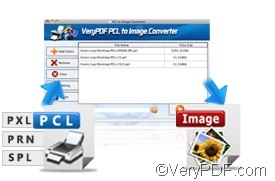 Firstly, you should download and install PCL to Image Converter for Mac to begin the conversion! Click Add File (s) to add the PCL files. Click Setting to open the Setting dialog box. Choose BMP as target format from “Convert to” spin box. Click OK button to enact the settings. Select the output location and click Convert to convert pcl to bmp. If you still have any questions about how to convert pcl to bmp on Mac OS X with PCL to Image Converter for Mac, you can visit its homepage or contact support@verypdf.com. This entry was posted in VeryPDF Blog and tagged Mac OS X. Bookmark the permalink.